1st Lt. B. (Scottie) Howle, son of Mr. and Mrs. R. H. Howle, attended Okla. A&M College. 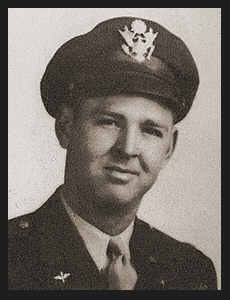 Entered Air Corps, trained in Santa Ana, Lemoore Field, Cal., and Italy; was killed in Memphis, Tenn. in May 1944. Awarded Air Medal with eight Oak Leaf Clusers, Pres. Unit Citation.